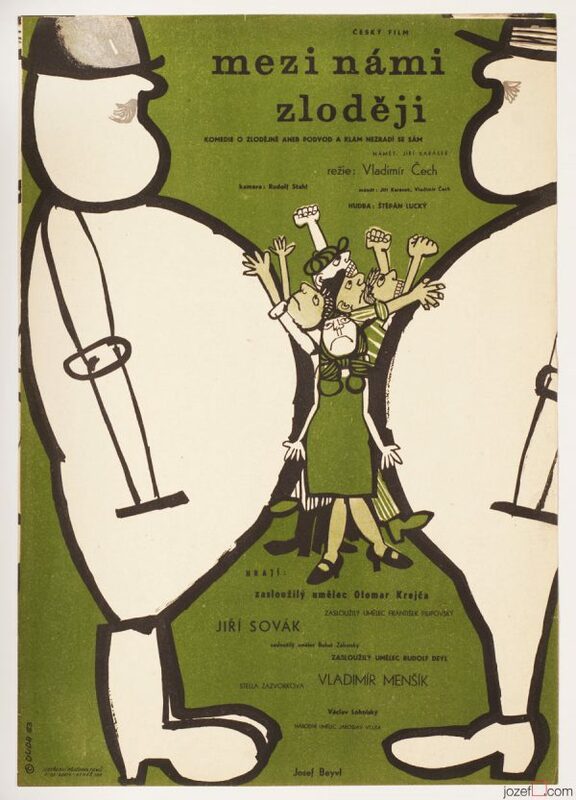 Movie poster for Soviet comedy musical with fabulous illustration by Czech artist František Skála. Movie title: Be Careful, Grandma! 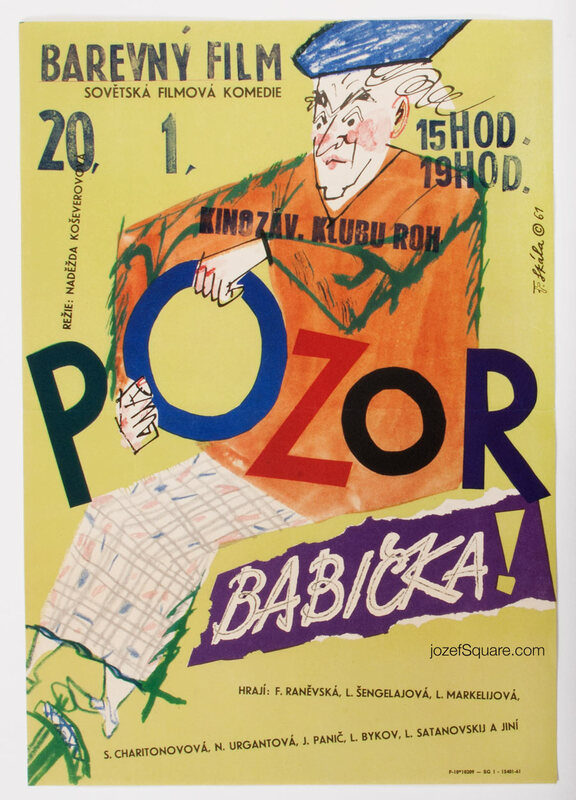 Hilarious movie poster illustration for 60s Soviet comedy. 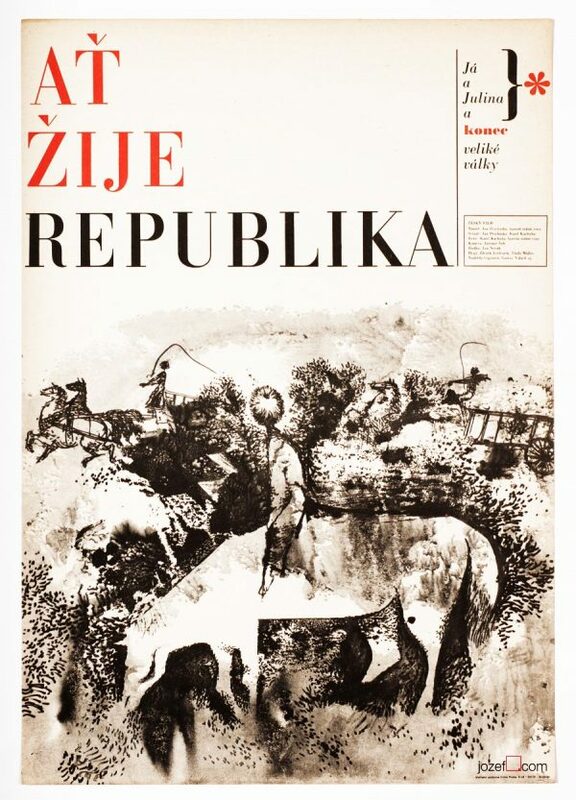 Poster is folded in the middle. Slight crease with few micro cracks on edges. Soft folds in some corners. Cinema stamps across top part. Very nice condition. 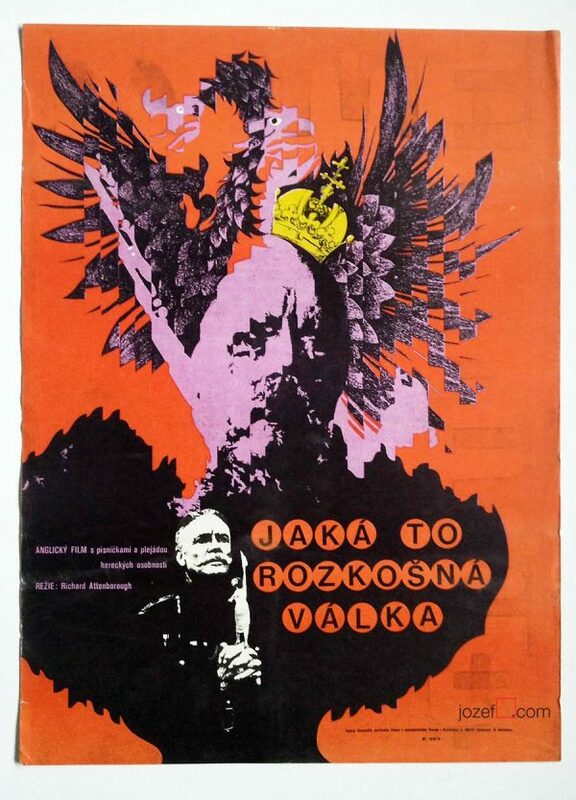 60s posters in our online archive. 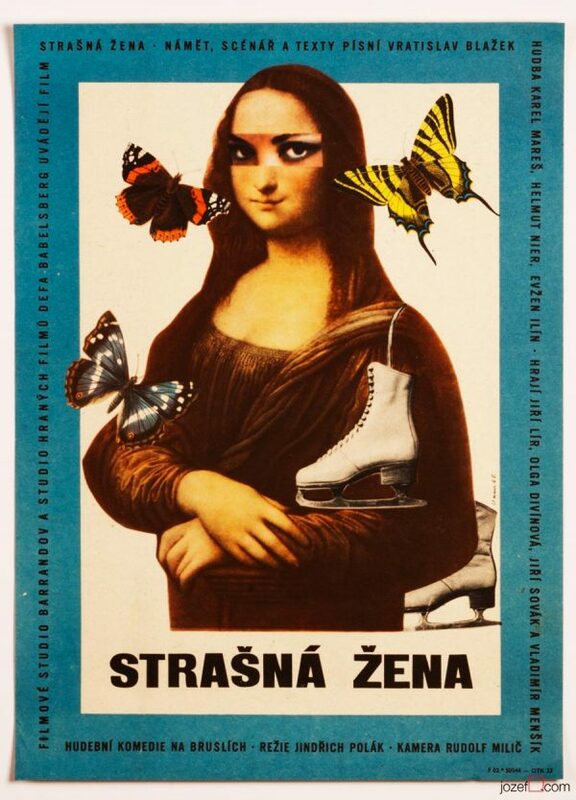 Be the first to review “Movie Poster – Be Careful, Grandma!, František Skála, 1961” Click here to cancel reply.